I was always intrigued by female authors or books on gutsy females. 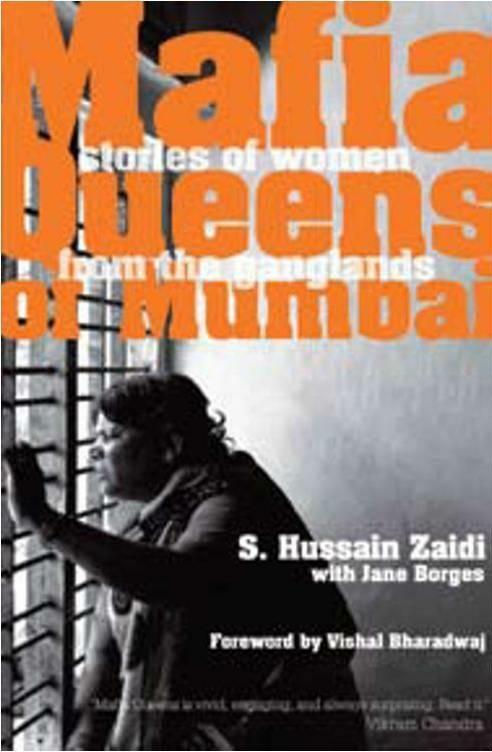 The cover page of ‘Mafia Queens of Mumbai-stories of women from ganglands by S. Hussein Zaidi with Jane Borges made my mind rest in a juggling situation. I kept thinking as to what the lady was looking out for. Was it the police? Her accomplices? To check if her gangster son would come home safe or not? With so many questions in my mind just from the cover page compelled me to read the book. The book starts off with the story of a smuggler turned bootlegger Jenabai Chaawalwali turned Jenabai Daaruwali. Zaidi gets all the information from Jenabai’s proud daughter who is rather excited to tell everyting about her mother. The book has an amazing flow and compels us to read without taking a break. All being anecdotes from newspapers, case files, relatives or the general public are well knit. One thing you realize is that all the ladies in the book turn to this profession just because of their family situations. The similarities they have are poor financial background, a drunk husband or too many children to raise. One other story which made me stand in awe was that of Ashraf Khan who vows to kill Dawood Ibrahim, the man behind her husband’s death. Zaidi has made it rather dramatic with throwing in a romantic deviation to her story. The assignments she undertakes makes me realize that she would have been in our history books had she born in the pre-independence era and shown her escapades in freedom fighting. The book then unfolds with the sad yet surprising story of Gangubai from Kamathipura who was sold by the man who promised would marry her. Her affiliation towards the dons has also been highlighted. This is one book where you get an anthology of anecdotes, fairly long, and you get rather bored when you read the surprisingly short stories towards the end. The bollywood angle has been showcased through the story of Monica Bedi and the southern twist has also been shown. Moreover the titles given to each of the anecdotes is totally apt. It’s one compelling read and keeps you wondering about the Bombay it was. Not just fiction, non-fictions like these also leave you in an imagination and you may probably think for a while-If I would have been her? Meanwhile you imagine that, I’ll try finding out as to what the lady on the cover page is looking out for. as a friend of goks or moreover a person who has read the book i wud suggest u guys 2 read this fantastic piece of work by the author....n i assure dat u'll never need a bookmark bcoz u won't stop to take a break! !